Mahendra Singh Dhoni joined Chennai Super Kings on Thursday as the team prepared for the upcoming season of IPL. 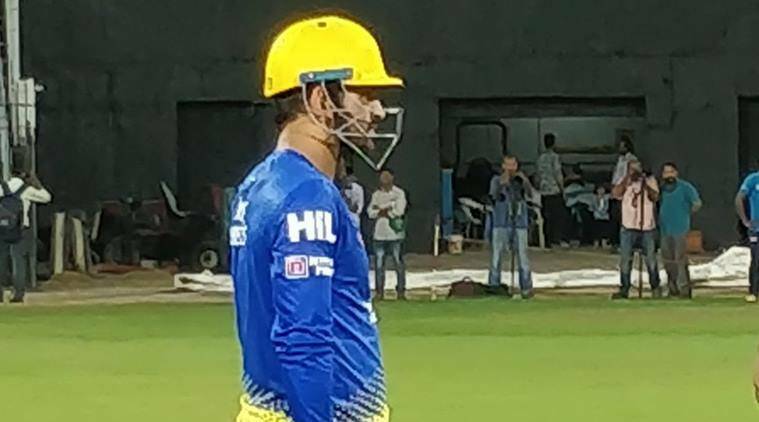 As the teams gear up to kickstart the new season of Indian Premier League, Chennai Super Kings captain MS Dhoni got into the groove as he joined his team on Thursday. The ‘Captain Cool’ was seen preparing for IPL 2018 and hitting balls out of sight during training. Dhoni has led CSK in all the eight seasons the club participated in. The team returns to the league after a gap of two years and the players as well as the fans are equally excited. Joining Dhoni in their side’s third title conquest are Suresh Raina, Murali Vijay, Dwayne Bravo, Shane Watson and Harbhajan Singh among others. The Chennai Super Kings posted an image of Dhoni playing a different ball game – snooker. “Off the mark! So what if it’s a different ball game altogether?” He was then seen hitting the nets in the yellow jersey, getting ready to represent CSK once again. Chennai along with Rajasthan Royals missed out on the last two seasons of the IPL after being banned by the Supreme Court. Dhoni was then signed up by the Rising Pune Supergiant. Dhoni was recently rested for the Nidahas Trophy T20I tri-series in Sri Lanka. The 11th edition of Indian Premier League (IPL) begins on 7th April with defending champions Mumbai Indians taking on Chennai Super Kings at Wankhede Stadium.